Click the menu icon (see below) and then click Help near the bottom of the menu. 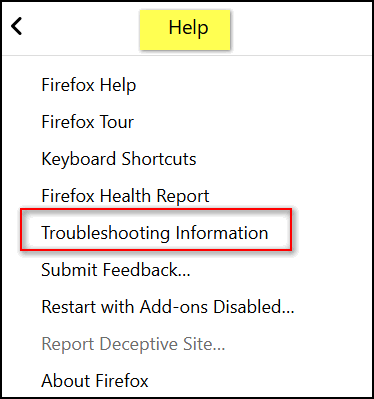 On the page that appears when you click “Troubleshooting Information”, on the right-hand side near the top, you’ll see “Give Firefox a tune up” and under that, click the button labeled “Refresh Firefox”. You’ll see a confirming dialog (see screenshot below). 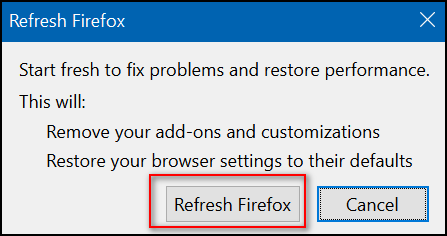 To reset Firefox, click the Refresh Firefox button and wait while Firefox refreshes. As noted in the confirming dialog, refreshing Firefox will remove your add-ons and customizations and restore your Firefox browser to its default settings. Now restart Firefox and you’re done. 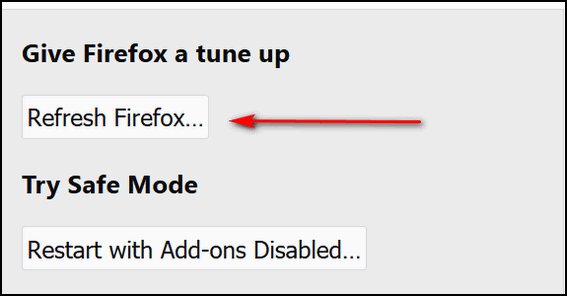 For this tip, it will be easier and work better if you use the Firefox Menu bar. If it is not showing on Firefox, open Firefox and press your ALT key while the Firefox window is in focus (on top of all other windows). In the Clear All History dialog, click the down arrow (circled below). Make sure only the first four items on the list on the left are checked. The click the Clear Now button. After you’ve done this, restart Firefox. 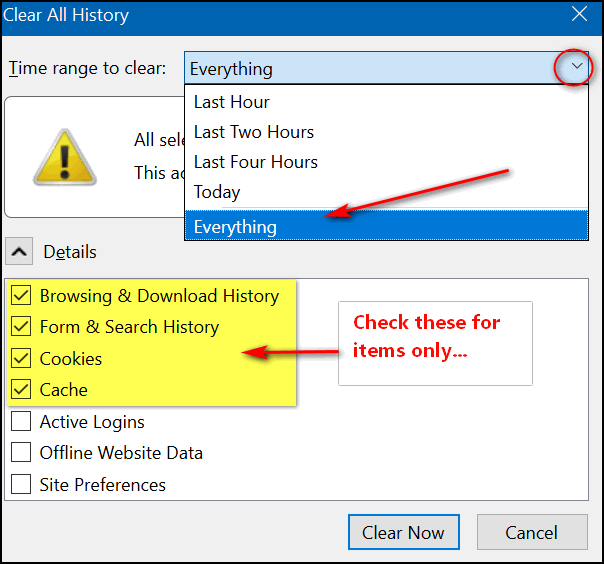 To learn how to reset Chrome and clear Chrome history see this post. Reset does not exist for Firefox for Android. You would need to use the Android App Manager to clear the stored data or uninstall and re-install Firefox. This will completely remove all settings for Firefox for Android, bookmarks, history, saved passwords,etc. will all be removed. I don’t have Firefox on my Android device… if anyone else has it and the info above is dated, let us know.